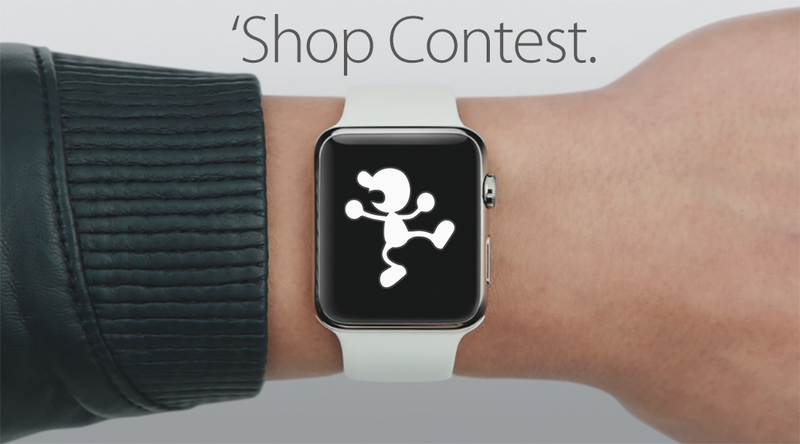 The Apple Watch officially arrives this Friday, and micro-games are on the way. What sort of gaming experiences can we expect to see on our wrists in the coming months? Our photo-manipulating readers are glad you asked. I’ve got an Apple Watch on order, because I am addicted to the game of scraping together money for things that will up the chances of me getting mugged. I’ve never been mugged before, and I’d really like to scratch that off my bucket list. But in the days between the Apple Watch’s arrival and it being yanked from my dead wrist in an alley behind a movie theater inspiring both my sons to become Batman, I’m going to play some tiny, tiny games. What sort of games? Blizzard’s just released Hearthstone for the iPhone, proving they aren’t afraid of tiny screens, so why not the Apple Watch? Are we limited to iPhone games that use the watch as an extension, or can full games fit on that tiny thing? The mind reels with possibilities. Unlike the programmers trying to make games for the Apple Watch, those with the power of Photoshop need not worry about memory constraints or practicality. All they need is a picture with a blank Apple Watch. Something like this, perhaps. Entries are due by next Saturday. Hopefully I’ll have a new watch by then so I don’t miss it.